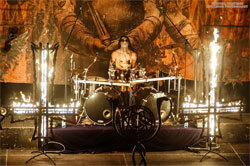 Krimh is an Austrian multi instrumentalist and professional drummer who started playing at the age of 14. After uploading cover videos on Youtube his international recognition started to grow fast. 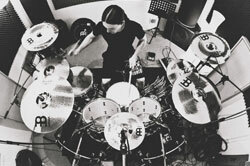 In 2010 he became a professional drummer and joint polish death metal band Decapitated. 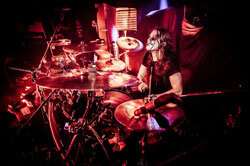 Together they released "Carnival Is Forever" under Nuclear Blast Records. 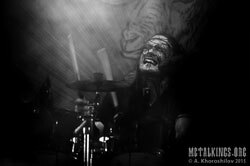 Besides Krimh has toured with polish black metal legend Behemoth as their session drummer and worked with bands such as Vesania, Redemptor, Mondstille, Devastating Enemy and Thorns of Ivy. Playing for other bands wasn't enough so he created his own project called „Krimh“. Since 2013 he has released two solo albums.